'Zindagi Wins' is new upcoming tv show which is going to be broadcast on UTV Bindass Hindi Entertainment Channel.The Theme of the serial is based on – How Life Wins inspite of challenges and even when there is lack of hope and shows the human spirit and aspects in its victory. This is a weekly show of UTV Bindass. 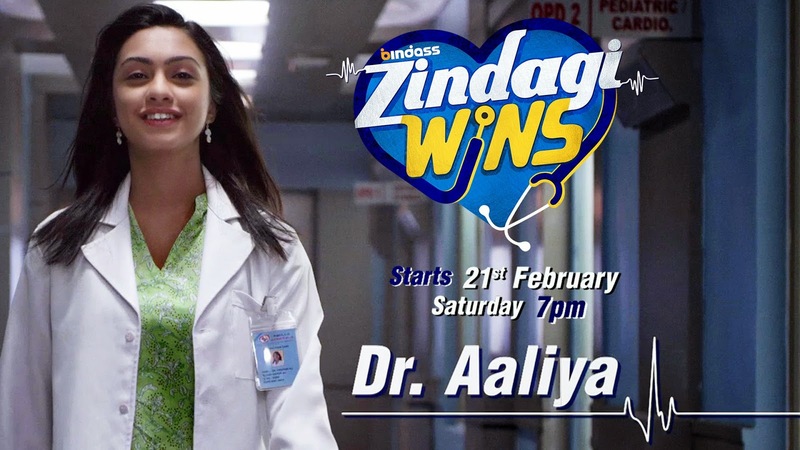 'Zindagi Wins' show is mainly based on 2 characters – Dr. Aaliya and Dr. Malvika who have different way of working but their magic works with life being the winner.DR. Aliya works by heart and work with emotions with patient.She always motivates patients. Moreover, Even when patient loses their hope for Life. Dr. Aliya always makes an attempt to look for Patient Survival. Compared to Dr. Aaliya is Dr. Malvika who is a perfectionist and knows how to make her staff work hard. Best known for her lead role – Sia Dhillon in TV series Humse Hai Liife. Worked in Pyaar Tune Kya Kiya Season 3, Episode 3 aired on 5th December 2014.